I love the look of strapless dresses, but I hate being worried about a wardrobe malfunction. 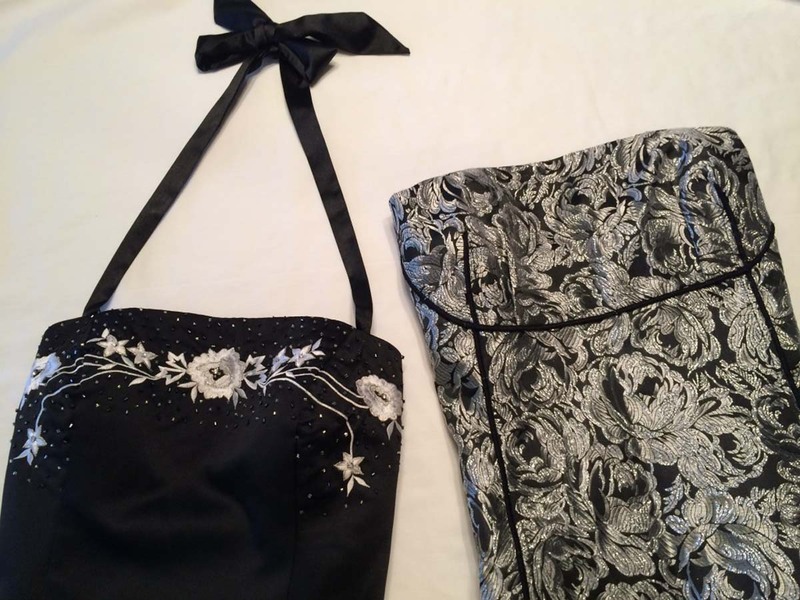 Here are a few easy ways to add straps to strapless tops and dresses. 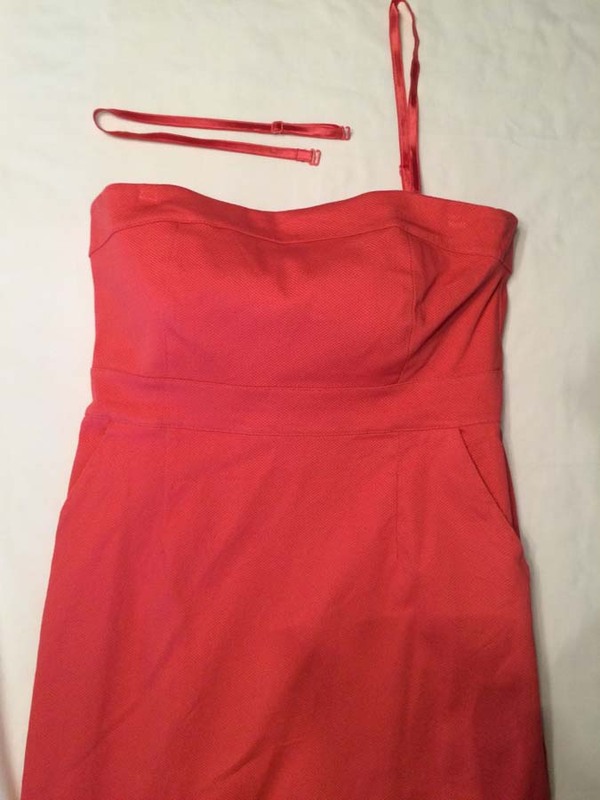 This dress and top actually came with their own matching straps! Admittedly, that way a key selling point when I bought the dress. Attach the straps by inserting the hook through the attached loop – Easy! I love how functional these straps are! The straps can be attached directly to my strapless bar, keeping everything up and in place! Or, the straps can be sewn in directly to my dress, if I am worried about the straps detaching while I move around (when I am dancing). If the strap hooks are plastic, then I almost always sew them in. The plastic hooks are not very strong and I have broken them while reaching my arms above my head. Strong metal hooks! These straps are secure and sure to stay in place. The adjustable dress straps are even long enough to cross in the back. There are many straps available for purchase, or you can make your own. 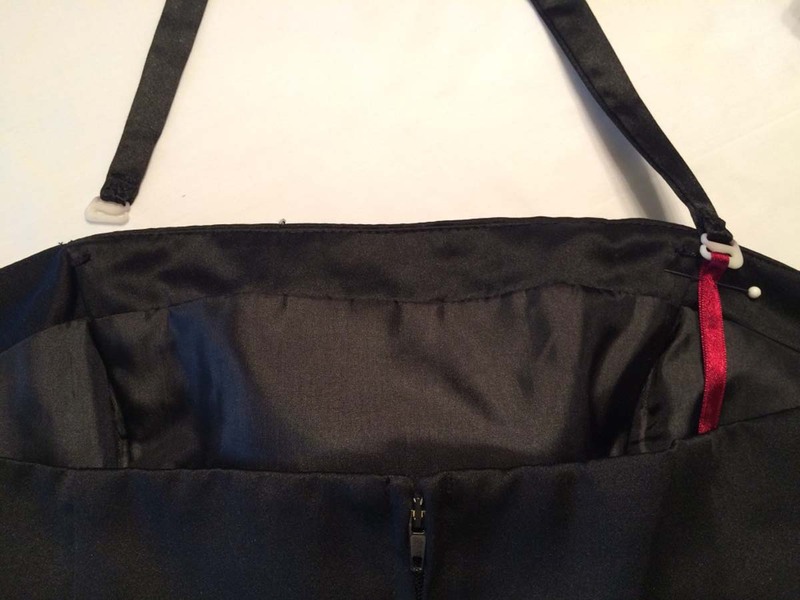 These can be sewn into the lining for a secure solution, hooked directly onto a strapless bra, or add loops directly to the garment for a variety of options and styles. Many Junior and high schools have implemented strict dress codes where strapless dresses are no longer allowed. Detachable straps are a quick and easy way to meet the dress code requirements without having to buy a new dress or expensive tailoring! Cut 2 inches of thin sturdy fabric for each strap loop. Red ribbon shown for illustration only. I used matching black bias tape for these black tops. Bias tape and strap fabric can be purchased at any craft or fabric store. 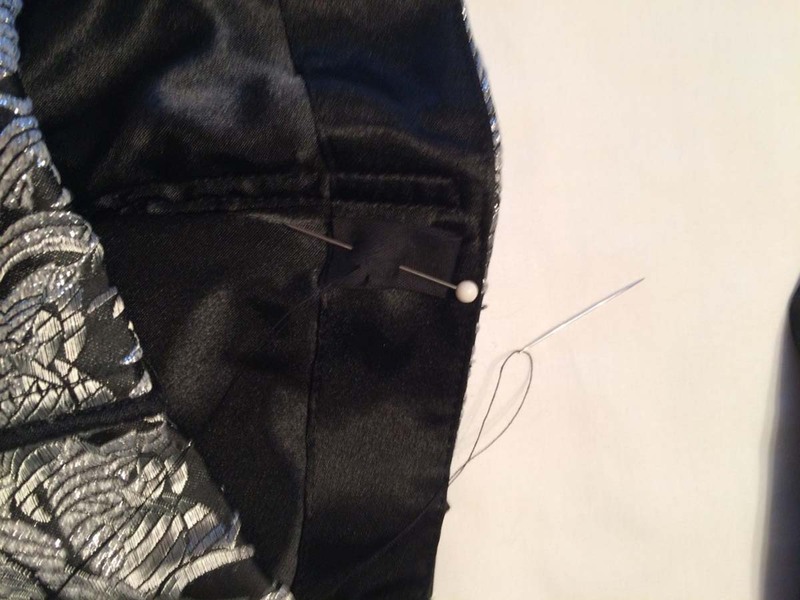 While wearing the dress or top, use a straight pin to position the loops. The loops should be below the edge so that the hooks do not show when attached. When you confirm that the straps are in the right place, measuring from both sides to ensure the straps are even, then sew the loops securing into the lining. Do not sew the thread through the front of the garment, where the stitches will be visible on the outside. You may want to practice on similar fabric before sewing the real item. The new loops are added to my strapless top. 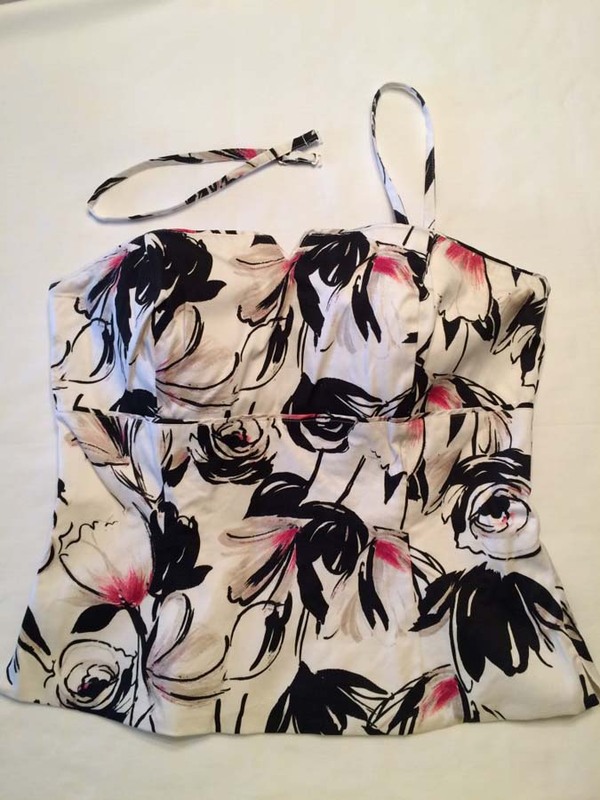 The straps easily convert this into a halter top whenever I want to switch up my look or need extra support. Sew 2 loops in front for halter style straps, or 2 in front and 2 in back for cross back or straight back straps including a completely different style with lace razorback. 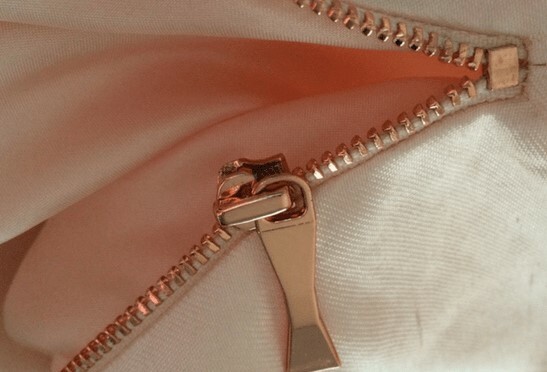 The straps can be used again for several different outfits by using the loops. Completely change the look of your strapless dress by adding a lace razorback design for extra support and attention grabbing design. Adding the loops for detachable straps is a great option for bridesmaids! For the wedding ceremony and Bridal Party photos go strapless, then add straps before the reception and dancing. These straps provide extra support and can completely transform the appearance of a strapless dress. 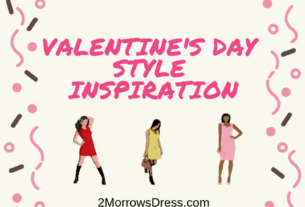 Express your unique style and transform your outfit quickly and easily! Easy solution, which can have a great effect. Not having to worry about incidents, just make it so much easier to enjoy the party.. These are definitely some easy ways to add straps to a strapless dress. I don’t like wearing strapless dresses due to the worry of a wardrobe malfunction, and often think about how to add a strap So this is handy to have read. I always worry about wardrobe malfunctions! Need the straps!